Joget Workflow being an open source platform for developing enterprise web apps on-premise or on the Cloud, is perfect for the Citizen Developer. 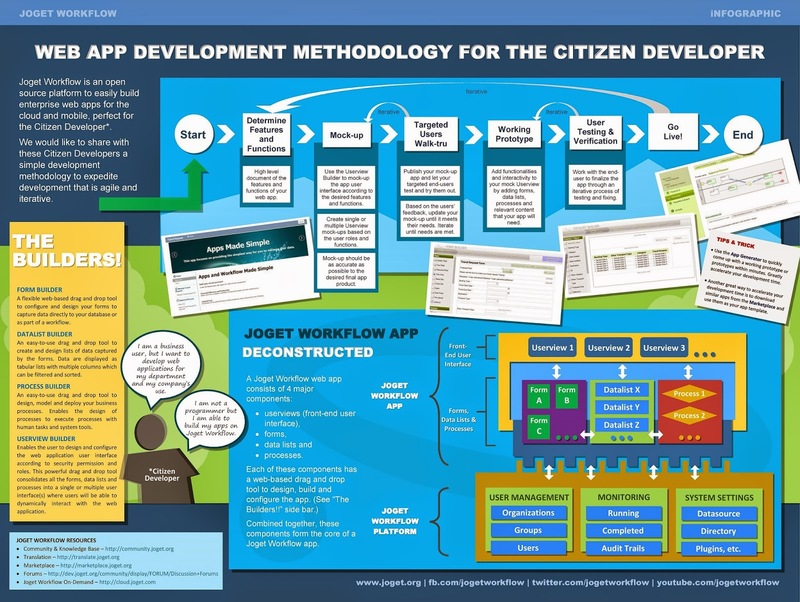 In this infographic, we would like to share with Citizen Developers a simple development methodology to expedite development that is agile and iterative. Download the infographic (PDF) via Slideshare. Great and impressive article!! Got to learn and know more about web development. To know more refer create website for much more unique ideas.